The game of Cricket was first played in the 16th century in England, and over the years, spread avidly among Commonwealth countries. Like any other sport, it is quite an active game, so it has lots of benefits for the human body. Cricket engages people to plenty of sprinting since you will be required to run from one wicket to another, or field a ball that has been hit. A standard game of cricket can last for an extended time so you will have to be in peak shape to play well. Your flexibility will also be enhanced due to all that running and throwing you have to do. But before you go out for practice, or participate in a game, make sure that you have all the important gear that is needed. One such item is the cricket bat. 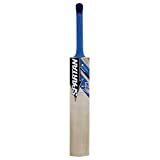 In this article, we are going to discuss Spartan MC GLADIATOR Cricket Bat. When it comes to choosing a good cricket bat, you should assess yourself and determine what kind of player you are. Are you a beginner, at a junior level? Are you advanced when it comes to abilities, or a pro player? Do you go after big hits and prefer to select your strokes over the course of batting? It is better if you address those questions prior to buying a bat for the kind of game that you play. Cricket players consider a quality bat an investment. Thus, you have to consider factors when it comes to choosing a good bat. 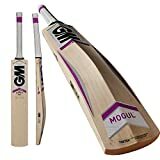 There is a wide selection of cricket bats available on the market, and knowing these factors will make it easier to make the right purchase for your abilities. The Spartan MC GLADIATOR Cricket Bat is made with English willow. English willow is a common material used in the majority of cricket bats; the material is known for the bounce it provides, which is why many players opt for bats made with English willow. The Spartan MC GLADIATOR Cricket Bat is a Grade 1 level bat as well, which means it has a direct grain. Grade 1, or G1, is also the preferred wood material level for beginners since they have to first get a feel of hitting the ball and familiarize themselves with the game. It is also important that the bat should match with the cricketer’s size. This is the reason why there are junior and women’s cricket bat selections. 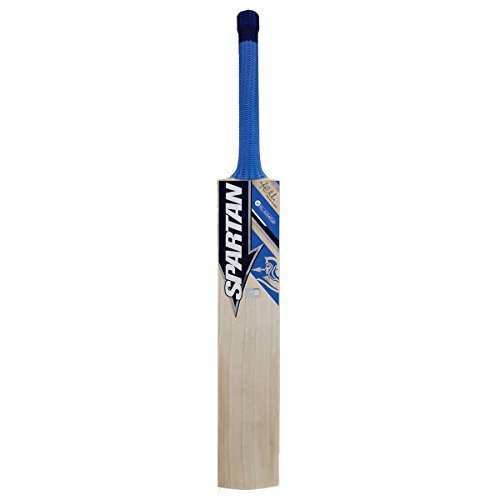 This one from Spartan is made for entry-level, or beginning cricketers, and it has a construction and feels that will suit the level of a new player. Usually, bat sizes begin at size 5 and go up to the comprehensive full size. A cricket bat’s weight is also important. If you are looking for bats, you must remember that for strokes, lightweight bats are mode ideal while the heavier ones are for those who have more developed muscular strength. Because this Spartan model is for junior-level players, it is lighter and made to accommodate this skill level. Heavier bats are more ideal for adults and advanced players. At the moment, the product did not have any unsatisfactory feedback. However, keep in mind that this model is only for junior-level cricketers. If you have advanced skills in the game, you will not be satisfied with the feel, weight, and pickup of this product. Hence, always buy a model that rightfully complements your skill and style level. 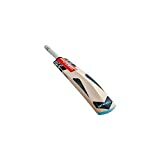 The Spartan MC GLADIATOR Cricket Bat is a good entry-level bat for the younger player who is just getting into the sport. The model is lighter and better accommodates a developing player. Made of premier English willow, this is an excellent bat for its weight and class.